You found your first job and you feel a little anxious. You think to yourself – “How am I going to survive through all these?” With the right attitude and guidance, you will soon look forward to doing your best. Like any other career enhancement tips, there are no guarantees for success. However, if you bring the right attitude and decide to take action then you are halfway there. Nothing will stop a first jobber like you from shining at your workplace. The value of self-discipline in a first jobber is often underestimated. Now that you are in the working world you think to yourself, “Is self-discipline overrated?” I will tell you, no. It is not overrated. I have often found new staff with good self-discipline doing better than those who are poor in it. Let me use a simple example to demonstrate this, assuming it’s a Friday and the rest of the department is planning to go out for a fun night. You have an important document to be completed for the coming Monday. What do you do? Give the fun night a pass and complete the work? Or join the fun and hope that you will find time to finish it over the weekend thus leaving you little chance to perfect it before submission? Part of self-discipline is also about sacrifice. When you have strong self-discipline, it is inevitable that you would need to sacrifice some fun time tofocus on your goals. If you are interested in advancing your career you may take some courses, or even read books to increase your knowledge. All these activities come with an opportunity cost. 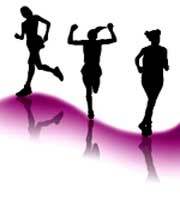 It could very well mean less time for leisure activities. You're probably thinking, “Success as part of these practical career enhancement tips is funny.” Let me assure you it is not. What I want to explain here is this – if you want to enhance your career, define what success is to you. Once you know what success is to you then you can plan towards that goal. Spend some time thinking what success is to you. Crystallize this in your mind. Assuming you know what success is to you, the next step is to be single-mindedin the pursuit of your goal. 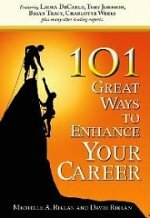 The career enhancement tips in this sub-section basically means this – when you define what success is to you, you then pursue it single-mindedly knowing your strengths and the skills required to attain that success. Sincerity in your career means a lot of things. For me, as a first jobber you should look at doing your work sincerely and joyfully. Meaning, do not treat your work as a drag. If you feel that your work is a drag, then start by asking yourself; "Why is it so?" before blaming anyone else – be it the company, your boss or your colleagues. So, be sincere with yourself. What is your core challenge in not being able to do your work sincerely? Being sincere at your work means doing it with your level best. It means playing your part and taking personal responsibility for your work. It also means toshare your learning and knowledge. When you share what you know about a certain task, you become an asset to your unit and this inevitably enhances your career. Many people think, the more they hoard what they know the more advantage they have. However, in my experience this is not true. I find that the more you share the more others are willing to share with you and hence the more you know. In summary, the most important and practical career enhancement tips you can start now is to develop self-discipline, learning to sacrifice, define what success means to you, be single-minded in pursuit of your goals by knowing your strengths and skills, and doing your work with sincerity and have sharing as a work value you carry. 3 simple yet practical career enhancement tips to help you progress in your career.